Andy is actively involved in every aspect of Ward’s Rental. He aims to provide excellent service and quality products for every customer, solving problems with fairness and efficiency. Andy loves learning from others and considers himself a student of life. 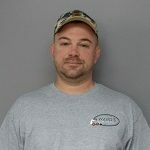 Andy’s career in the rental industry began in 2002 when he took over his family’s equipment rental business, and five years later, he ventured into tent and party rentals. 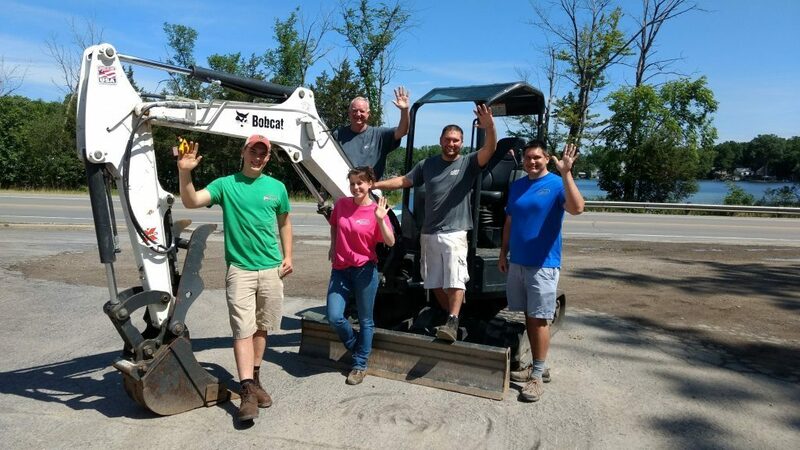 Since that time, Andy has dedicated himself to building Ward’s Rental into the area’s premier rental provider; more than that, Ward’s is a local business that supports the community and helps other individuals and businesses to pursue their goals. In his free time, Andy enjoys playing poker, being a businessman, humanitarian, and most of all, a dad. For equipment and tent and party rentals, Jason is always ready to tackle any task. He has been a part of our company since 2011. His extensive background and real world experience allowed him to adapt quickly to management requirements. He attended 4 years in school for residential, commercial, and industrial electrical, and worked 3 years as an industrial electrician. He later spent 2 years in general construction, including roofing, siding, replacement windows, and decks. Jason built a company from the ground up that provided services such as commercial cleaning and general maintenance on commercial properties. We are happy to have him and know our operation would not be what it is today without his help and dedication. We are glad to welcome Dave back to our crew for the second year. He has performed a variety of tasks at Ward’s and always rises to the challenge of solving any problem. His hard work and determination make sure that every customer receives what they request in a timely and accurate manner. Dave works with Ward’s in addition to attending school, and in his free time he enjoys outdoor activities and working on cars. Tony joined our force in early 2018 when he decided to apply his well-rounded skills in a different line of work. Tony comes from a long family background of tree removal experts. He has removed some of the largest trees Michigan has. We are thrilled that he decided to become part of our growing company. Adam joined our team in 2018. He is a native of Missouri. He has owned his own business for the past 5 years: a field repair business repairing machines such as tractors, chainsaws, and the like. In particular, Adam is an expert in Kubota products. Prior to that, he was employed with another company in the rental industry. We met him as a customer and found that his skills were exactly what we needed to add to our team. Jim joined our team in early 2015, and he quickly became a very important part of our daily operations. His primary responsibility at Ward’s Rental is to deliver earth moving and lawn and garden equipment. Jim was the proud owner of Thesier’s John Deere Dealership in South Lyon, Michigan, for over 40 years. After retiring from his business, he became available to support our team for the spring, summer, and fall seasons. This keeps him involved in the equipment industry that he loves so much. Jim has proven to be reliable, honest, hard-working, and dedicated to every aspect of what he does here.